Bigg Boss 11: Puneesh Sharma And Bandgi Kalra Laugh At Ex-Couple Kushal Tandon-Gauahar Khan's This Stint! Bigg Boss 11: Puneesh Sharma And Bandgi Kalra Laugh At Ex-Couple Kushal Tandon-Gauahar Khan’s This Stint! Bigg Boss 11 contestant Bandgi Kalra and Puneesh Sharma talk about Gauahar Khan and Kushal Tandon’s controversial stint from season 7. The controversial reality show Bigg Boss 11 house is one place where you can always expect the unexpected. Anything is possible by the contestants of the house to gain the attention. Sometimes, contestants forget that their every move and say is being recorded. 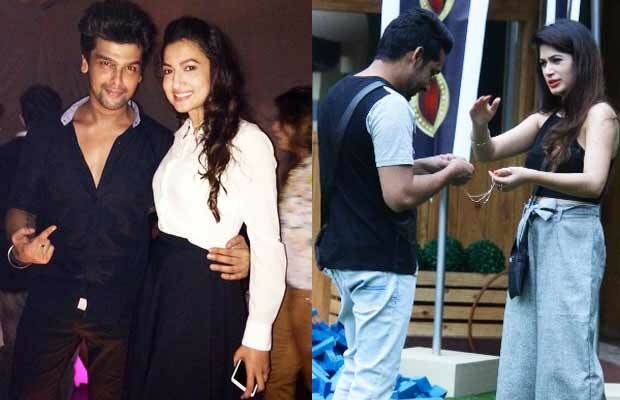 For instance, Bandgi Kalra and Puneesh Sharma were heard talking about how Gauahar Khan and Kushal Tandon ran away from the house. In an extra dose video on Voot.com, Puneesh Sharma and Bandgi discuss about the eviction. Puneesh tells Bandgi that how difficult it would be for him to survive in the outside world without her. The two end the conversation realizing that nothing further should be spoken. Going back to Bigg Boss season 7, Kushal Tandon was thrown out of the house over his violent behaviour with Andy. Like a true friend, Gauahar decided to pack her bags and leave the house with Kushal even though all the other contestants tried their best to convince her to stay. Well, will Bandgi leave Bigg Boss 11 house if Puneesh Sharma gets evicted? Will the history repeat? Only time will tell! Meanwhile, you can share your views in the comments section below. Bandgi Kalra, Puneesh Sharma and Luv Tyagi are nominated for this week’s eviction. Who do you think should get evicted? Cast your vote here: Bigg Boss 11 Poll: Who Should Be EVICTED This Week- Puneesh Sharma, Bandgi Kalra Or Luv Tyagi? Next articleFirangi Review: Here’s What Audience Has To Say About Kapil Sharma Starrer!